Jesus Gonzalez v. MVM International Security Inc.
Jesus Gonzalez was in federal custody on Sept. 15, 2005, and was being transported from the U.S. Federal Building and Courthouse to the Miami Federal Correctional Institution in South Miami-Dade. He had pleaded guilty to a conspiracy to distribute crack. Gonzalez was handcuffed and leg shackled in the back of a van driven by employees of Vienna, Va.-based MVM International Security, a subcontractor of the U.S. Marshals. The van was heading south on I-95 when two cars collided, causing a GEO Metro to hit the van. The van rolled three times, ejecting Gonzalez and leaving him a partial quadriplegic from a skull fracture, spinal injuries and nerve damage. He was left paralyzed from the waist down with only limited movement in his arms. Despite the accident, he completed a sentence of two years and six months in August 2007. The other prisoners in the van suffered relatively minor injuries. Gonzalez’s medical bills approached $300,000, most of which was paid by the U.S. Department of Justice. Gonzalez struggled to find a civil attorney to represent him because many lawyers assumed that the federal government was transporting the prisoners instead of a contractor, Lipcon said. A negligence lawsuit against the U.S. Government is difficult to prosecute because of award caps and other restrictions. 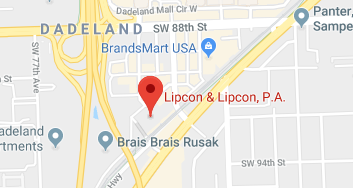 Lipcon filed suit in Miami-Dade Circuit Court against MVM, Arizona-based Scottsdale Insurance and San Antonio, Texas-based Argonaut Insurance, but dropped the two insurers from the case in March. The lawsuit includes a single count alleging that MVM failed in its duty to ensure that Gonzalez was being transported safely at the time of the crash. The case settled before trial. Plaintiff Case: In the lawsuit, Lipcon argued that MVM wasn’t negligent in how it operated the van, but in failing to ensure Gonzalez wore a seatbelt. He also contended that the van MVM used, a Chevrolet 350, had a tendency to roll in crashes when it was loaded with passengers. Defense Case: Fulmer said he did not have permission from his client to talk to the media. But according to Lipcon, Fulmer contended that MVM had no obligation to ensure the prisoners wore seat belts, and that it was following the orders of the U.S. Marshals Service, which does not make it mandatory for prisoners to wear seat belts. Outcome: MVM agreed to settle for $2.25 million. Quote: “He’s still a citizen, he didn’t ask to be put in this position, he asked to be seat-belted. Does he deserve what he ultimately got, a life sentence in a wheelchair? Absolutely not,” Lipcon said.